EXPOSED STYROFOAM ARE ALLOWED ON THE LAKE! as in the Cove, motorboats and all other watercraft (along with fishermen) may continue to enjoy this part of the lake so long as the No-Wake rule is respected. The Board of Governors thanks you for your cooperation in our efforts to improve our fishery and to make our lake safer. No boat, kayak, canoe or paddleboard may be placed on Lake Owassa unless it is owned by the LOCA member and has both the Area Number and current Annual Sticker on the boat. No renters or guests are ever permitted to place their watercraft on Lake Owassa. This rule protects our lake from invasive organisms and plants that can infect and harm our lake for everyone. Despite our constant reminders, some LOCA members have been permitting renters and guests to bring their boats to the lake. This violation of our Bylaws cannot continue. Any LOCA members who permit renters or guests to place their boats on Lake Owassa may have their lake privileges and membership suspended or revoked. The LOCA Board of Governors, to protect our lake for everyone, is now compelled to enforce a zero tolerance policy for this violation. Thank you for helping to keep our lake clean, safe and pollution free. I am Coordinator for The New Jersey Chapter of the Pajama Program for Morris & Sussex Counties. At this time, I would like to hold a pajama drive within our community during our spring through fall season. All donations must be new pajamas. I ask that the donations be in sizes 8 through adult for boys & girls. These sizes are the most needed throughout the winter season. We receive an abundance of infant to size 6. Your donations can be brought to our meetings in June & August, to the picnic, by contacting me or delivery to my house. We also accept monetary donations. For additional information on the program you can go to https://pajamaprogram.org/ or to the New Pajama Program Facebook page. I am proud to volunteer with this organization. It is comforting to know I help in keeping thousands of children warm throughout our State. If you are interested in volunteering within the organization, please contact me. As we approach a new summer on the lake, the LOCA Board of Governors wants to advise all LOCA members of the rules regarding large inflatable toys, floats and rafts. With all of the new and large devices for sale on the market, the LOCA Board does not want someone to unknowingly purchase an oversized inflatable device that is not permitted on our lake. 1. The maximum size of any inflatable toy, raft, chair or float is 144 square feet. The inflatable device should also not sit higher in the water than the typical or average swim float or raft (approximately 3 feet). 2. All inflatable devices (other than the traditional inflatable devices used for tubing) must always remain in front of one=s own property and inside the line of swim floats. No inflatable device may be anchored to the bottom of the lake. 3. No inflatable devices can remain in the lake overnight. All inflatable devices must be removed from the lake by dusk (1/2 hour after sunset). They must be brought onshore or safely placed on one=s dock. They cannot be stored on top of a swim float. 4. Because inflatable toys are not permanently anchored in the lake, a LOCA sticker will not be required at this time. 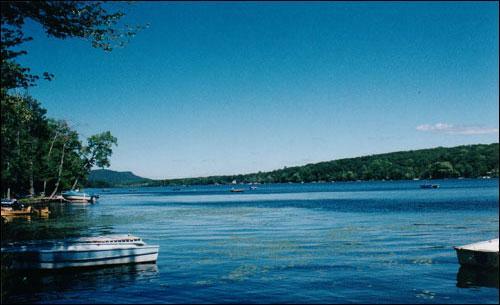 However, guests or renters are not permitted to bring their own inflatable toys to the lake; inflatable devices on the lake must be owned by the LOCA member. 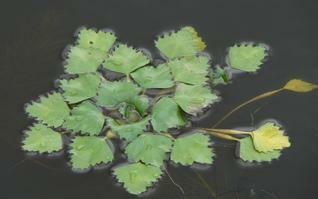 We do not want our lake to be infected with invasive species or nuisance growths. 5. And please remember that inflatable boats, canoes or kayaks, as with all watercraft, require a sticker before they can be placed on the lake, and trampolines are never permitted on the lake. Thank you for your cooperation and please have a wonderful and safe summer on the lake. The LOCA store has gone online! You can go to the Loca Store tab on the website or Click HERE or go to https://lakeowassa.itemorder.com to shop for the latest Lake Owassa apparel and goods! Like any store, our designs and options will be changing from month to month and year to year, so please check back often for new items and designs! If online shopping isn't for you or if you have any suggestions, please feel free to contact us at lakeowassa.store@gmail.com! Combine salt and vinegar and heat until salt dissolves. Cool, add detergent. Pour into spray bottle or pour directly on poison ivy. Be careful where sprayed as the mixture kills all vegetation. PLEASE CHECK THE NEW OWNER'S/RENTER'S GUIDE TAB FOR IMPORTANT INFORMATION. including motor boats, sail boats, kayaks, canoes, and now stand up paddle boards. Any person on board under the age of 13 must wear the USCG approved life jacket. The jacket must be in “serviceable condition” without rips, tears, or deterioration that will diminish its performance. Please, be conscious of these regulations when operating any motor boat, sail boat, canoe, kayak, or stand up paddle board! Also, remember each of these need to have on their LOCA Area sticker and yearly sticker! All people (members, guests, and renters), ages 16 through 69, MUST have a valid 2018 NJ State Fishing License to fish in Lake Owassa. Go to: http://www.state.nj.us/dep/fgw/fishneed.htm for information regarding the purchse of a fising license on-line, or to your local Sports Shop. Only boats registered to proprietary members and having proper LOCA stickers are allowed on LOCA waters. No family members, guests, or renters are allowed to bring their own boats, kayaks, canoes, paddle boards and put them in the lake. Before you put your swim float/ raft in this year, please make sure your LOCA area number is visible on the raft/swim float. IT DOESN'T HAVE TO BE THE "NICE RED/WHITE STICKER"!! You can paint it on or buy letters/numbers at Lowes/Home Depot. We just need to identify your swim float/raft, if it drifts away and we need to notify you. We have had a number of floats that drifted away during the last season, and there is one that we need to locate it's home this Spring. Thank you in advance for your help. Anyone wishing to have a bonfire/campfire needs to call the NJ Forest Fire Service and obtain the proper permits. These are free and are issued monthly. You may request as many months as you want at the same time. Each month has a different permit number. Either the day before or day of your bonfire you need to call and inform them. They will then have it on record in case anyone calls in that there is an unauthorized fire. The number to call for permits is: 973-786-6350. The permit will contain the number to inform them of your fire. No Motorized watercraft are to be on the lake after dusk, which is 1/2 hour after sunset!! Please, check the daily sunset times and adhere to this By-Law. See page 16 of our By-Laws for detailed operating times. for complete information and photos on detection and advice on what to do and who to contact if you see it on the lake. If there are any documents on this website in PDF format, you would need to have Adobe Reader installed on your computer. If you don't have it, please download and install Adobe Reader and try viewing the document again. This is a free download. for lots of updated information! The Sussex County Website has information on many topics such as West Nile Virus & Mosquito Control. Click Here to go to their website News Page. IF YOU ARE A LOCA MEMBER AND HAVE A CHARITY, WALK-A-THON, SOMETHING TO BUY/SELL (e.g. BOAT, ETC. ), OR SOMETHING FOR OTHER MEMBERS TO BE AWARE OF, ADD IT TO THE MEMBER NETWORK page. CLICK HERE TO EMAIL ME THE INFORMATION TO BE ADDED. If you have any suggestions on how to improve the website or wish to add photos, committee news, events, etc., you can either email or fax me the information at (845) 610-3179 - please provide your name and phone number on the email/fax in case I need to contact you to clarify or ask questions about any submissions. I hope you will enjoy using the website. You will need the user ID and password only for the Minutes & Newsletters, Member Comments, and Phone Contacts pages. The ID and password are the same that were on the old website. If you have forgotten them, click here to email me and I will provide them to you upon verification of your LOCA membership.